Baltimore Jewish Life | And The Most Common Last Name In Israel Is…..
And The Most Common Last Name In Israel Is…..
Jerusalem - Israel’s Central Bureau of Statistics (CBS) celebrated Family Day by publishing the numbers on the most common family names in Israel. Not surprisingly, the report shows that the most common family name in the Jewish State is Cohen, followed by Levi, Mizrachi, Peretz, Biton, Avraham and Friedman. One in every 50 Israelis is named Cohen, consisting of 2.7 percent of the population, and one in every 85 Israelis or 1.5 percent is named Levi. One in every 470 Israelis is named Friedman. 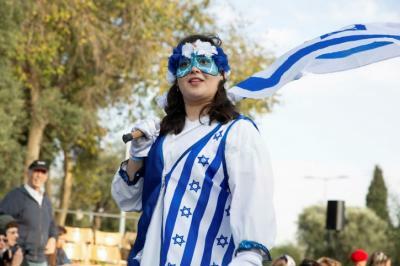 The most common last name among Muslims in Israel is Agrabiya, shared by 18,000 people, and Huri is the most common last name among Israel’s Christians. The leading last name among the Druze is Halabi.